Iwona Szczepanski was born in Poland and began dancing with a local children’s dance group at the age of 8. After immigrating to Canada, she continued to dance from age 12 to 22 in a folklore dance group in Edmonton. She has a tremendous love for music, Polish culture and children, as well as teaching. When she successfully completed the Polish Dance Choreography Diploma in 2002, her adventure in dance continued. In 2003, along with husband Peter, they started a dance group in Kelowna called Polish Eagles. As the Artistic Director, Iwona choreographed dances from the Krakow, Lublin, Lowicz, Podhale, Rzeszow, Kaszuby and Slask regions. The youth also learned the five national dances of Poland: Polonez, Mazur, Kujawiak, Oberek, and Krakowiak. In 2016, Iwona was awarded the Polish Consulate General Certificate for her contributions to Polish Culture in Canada. 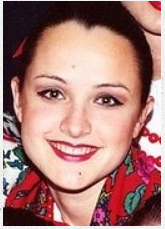 Today, now a family of four, she is the Artistic Director Krakusy Polish Folk Dance Association in Calgary, Alberta. Since her work with Krakusy in 2017, Iwona has elevated the group to a new dance quality. From 10 children, the group has grown in numbers to over 35 members, and is now divided into a Little Krakusy and Older Krakusy. Iwona has brought forth dances like Kaszuby, Krakowiak, Slask, Polki, Beskid Slaski, Cowboy Medley, and most recently – Tarantella. Iwona’s love for dance is transformed as she teaches children and youth not only the basis of Polish folk dance but also basic ballet and gymnastics technique as well as other international dances. With the assistance of other great Choreographers, Iwona has brought forth Spisz and Beskid Slaski. Krakusy have been very busy with many local performances in many Polish events, Christmas Market in Spruce Meadows, Canada Day celebrations, and local fundraisers. They have also had the privilege to join forces with Polish Eagles and together perform at Canada Day celebrations in 2017 in beautiful Kelowna, BC. 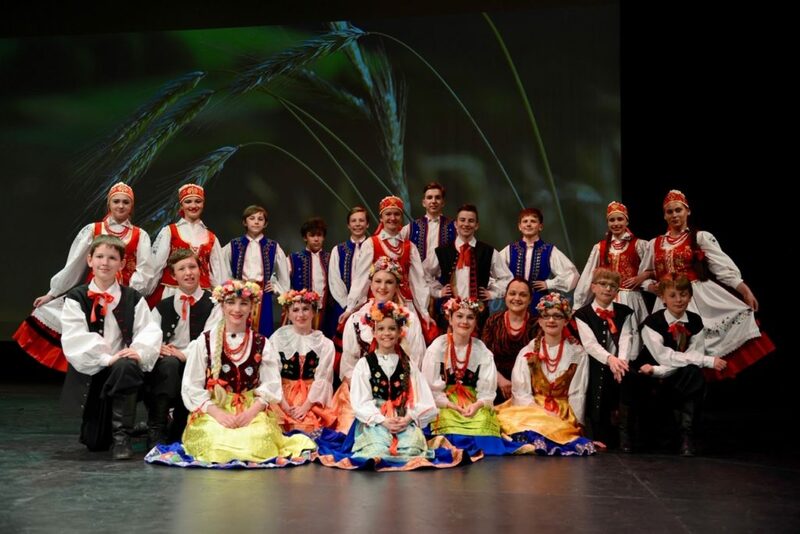 In the summer of 2018, Krakusy were the only Polish dance group from Western Canada to represent our province in the prestigious Festival in Iwonicz-Zdroj (a festival which takes place only every three years). Most recently, a new dance called Polish Flowers, choreographed by Iwona, was met with much joy and tears of nostalgy when it was performed during the Poland Centennial celebrations in November 2018. Iwona has most recently began to build the instructor team in Krakusy, in order to ensure the children have continuous instruction and development. The group is growing, and so must the instructor team. 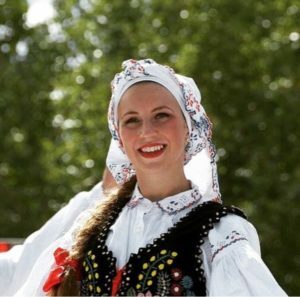 Iwona hopes to continue to share her love for Polish folklore with the children and youth here in Calgary, and through fun, music and song, continue to instill in them the adventure of Polish dance! Bringing new dances to the already existing exciting program is Iwona’s continuous goal. The fantastic spirit of Krakusy and the amazing support of the parents is the foundation for future growth, fun and success. Maya Leszkowski was born and raised in Calgary, but has maintained her Polish heritage as an essential part of her life. From a young age, she was extremely fascinated with Polish folklore dance and would watch the local Polish dance groups perform at various events until she was old enough to join the youngest dance group Gaiczek, at age 6. Before the age of 12, which was then the necessary age to join Krakusy, Maya was chosen to begin coming to practices with the group to continue learning new steps and choreographies before officially joining Krakusy the following dance season. Throughout the years that Maya was a dancer of Krakusy, her passion and love for Polish folk dance continued to grow. In 2012, she traveled with the group to Poland to attend the International Polish Folklore Dance Festival in Iwonicz-Zdroj and workshops with Slask Dance Ensemble in Koszecin. Maya also attended the same festival and workshops again in 2015 as a senior member of Krakusy; it was during this trip that she was able to excel and gain more knowledge and appreciation for all the various national and regional Polish dances. The following year, Maya moved up to join the oldest Polish dance group Polanie. This had been her dream since she was 4 year-old and had spent an entire day watching the group perform four times at the Spruce Meadows Masters Festival. During her time in Polanie, Maya had the opportunity to attend her third festival, this time attending the International Festival of Polish Folklore held in Rzeszow. Maya danced in Polanie until the age of 19, as she focused on continuing her Bachelor of Elementary Education degree. Although it did not take long until she had her dance shoes back on and began volunteering to help Krakusy. 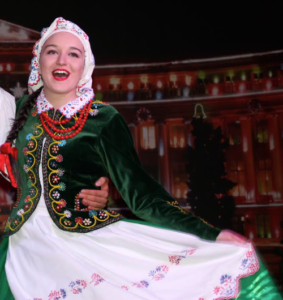 In 2018, she was offered an Assistant Instructor position to begin the process of building an instructor team to continue sharing her love for Polish folklore. Maya hopes that as she works among her two greatest passions-working with children and Polish folk dance-she is able to give the dancers of Krakusy the same opportunities she had as a dancer where they can pursue their passions, create lasting memories, and friendships through the love of dance. Amy Rebisz was born in Red Deer, Alberta; however, due to her parents both being born in Poland, she was naturally exposed to the Polish lifestyle. Dancing became a hobby for Amy at a young age. At around 6 years old, she joined her first Jazz dance class. Later on in life, she went on to explore other styles of dance such as ballet, hip hop, and musical theatre. Eventually, she was introduced to Polish Folk dancing which intrigued her the most and slowly grew to be a large component of her life. Amy continued to participate in Polish Folk dancing for over ten years and gradually made her way through different age groups. Her first years began in Gaiczek where she was introduced to basic steps and simple choreographies. As she grew older, she moved to Krakusy and eventually made her way to the senior group Polanie. She was given opportunities of being able to travel to different countries with her group to showcase the Polish culture. During this time, not only did she find tremendous joy out of dancing since it was her passion, but also she became so connected with the dance group and its members that they became her second family. To add to this, she was able to connect something she loved to her family’s culture and background. After graduating from high school, Amy was accepted into Mount Royal University where she was able to begin her journey of becoming an elementary teacher. For as long as she could remember, teaching was another thing she felt very strongly towards and admired. Unexpectedly, she was told there was a position open as a second dance Instructor Assistant for Krakusy Polish Folk Dance Association. This was such a surprise. Being able to teach but also dance? What a dream! She now assists Krakusy and is very happy that she can share her love of dance with younger dancers while also being able to teach them all of what she had obtained throughout her years of being a part of Polish Folk dancing.